Beck is headlining Edgefest in Dallas, Texas. He headlined Edgefest in 1997 as well! Despite being the headliner, Beck only played around an hour. The setlist said "Debra (maybe)" but they did end up doing it. 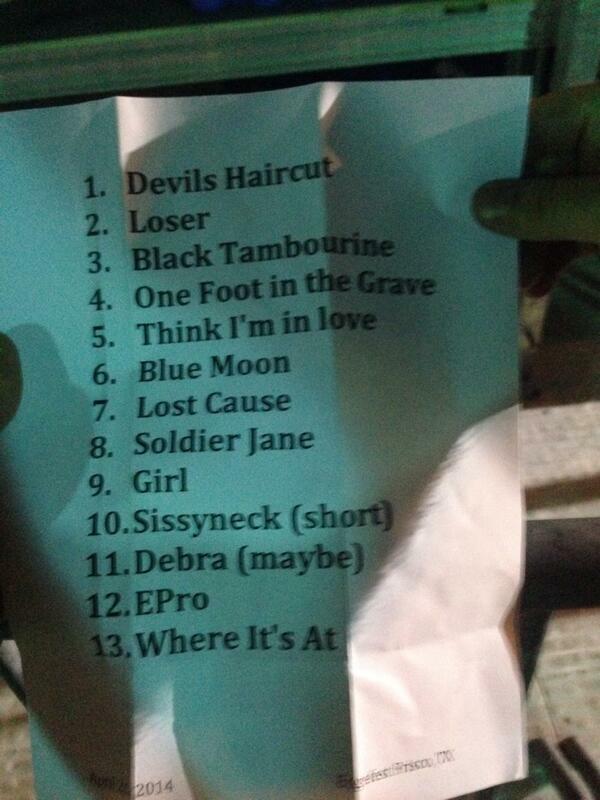 Setlist verified, as you can watch the whole performance here. The whole video is on Youtube.